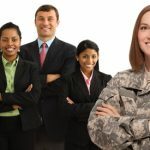 WASHINGTON – The U.S. Small Business Administration (SBA) has joined with the Department of Veterans Affairs (VA) and the Department of Defense (DoD) to launch a training program for transitioning service members and veterans to help them become entrepreneurs and create jobs. Operation Boots to Business: From Service to Startup is a national initiative that will be piloted with the U.S. Marine Corps. The announcement was made today by U.S. Small Business Administrator Karen Mills and U.S. Marine Corps representatives at Quantico, VA. Entrepreneurship and small business ownership are valuable opportunities for transitioning service members and veterans. Each year, more than 250,000 service members transition out of the military. Transitioning veterans are natural entrepreneurs who possess the skills, experience and leadership to start businesses and create jobs. Veterans make up a large number of successful small business owners. Nine percent of small businesses are veteran-owned. These 2.45 million veteran-owned businesses employ more than 5 million individuals. In the private sector workforce, veterans are more likely than those with no active-duty military experience to be self-employed. Operation Boots to Business: From Service to Startup will help support veterans as they grow businesses and create jobs by building on SBA’s role as a leader in entrepreneurship training. 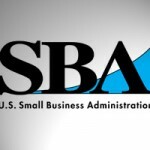 SBA will help connect veterans with its resource partner network – Small Business Development Centers (SBDCs), Women’s Business Centers (WBCs), SCORE, and Veterans Business Opportunity Centers (VBOCs) – for support throughout the life-cycle of their new businesses. Through its ongoing collaboration with Syracuse University’s Institute for Veterans and Military Families (IVMF), SBA also will provide comprehensive training materials specifically geared toward transitioning service members. 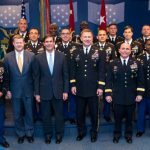 SBA partners will coordinate training and services at military bases around the country, delivering a face-to-face introductory entrepreneurship course. 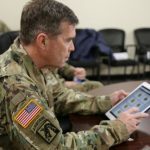 In addition, an intensive eight-week online business planning training will be provided by Syracuse University and its affiliated university partners for those service members who choose to continue to pursue entrepreneurship after the face-to-face introductory course. Following, service members and veterans will be referred to SBDCs, WBCs, SCORE chapters and VBOCs for counseling and training throughout the lifetime of their business. 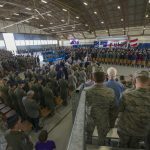 The program will pilot in four locations: Quantico, Va., Cherry Point, N.C., Camp Pendleton, Calif., and Twenty-Nine Palms, Calif. 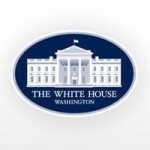 It will be expanded across the nation during fiscal year 2013 with the goal of providing entrepreneurial training and awareness to transitioning service members from all branches of the military. For more information on Boots to Business training program, and on how to take part as a transitioning service member, please visit http://www.sba.gov/bootstobusiness. 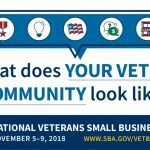 SBA currently engages veterans through its 68 local SBA district offices, 16 Veterans Business Outreach Centers nationwide, and its partnership with 1,000 Small Business Development Centers and some 12,000 SCORE – Counselors to America’s Small Businesses volunteers. Each year SBA helps more than 200,000 veterans, service-disabled veterans and reservists. 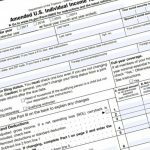 To learn more about additional opportunities for veterans available through the SBA, please visit the website at http://www.sba.gov/vets.